BrandStand® America is committed to building innovative, affordable, and reliable portable display systems for events, retail and exhibitions. With a focus on providing top quality and uncompromised customer service, we stand behind every order to give our customers the best experience. Made in America – Our graphics are printed right here in Florida and finished by local craftsmen that specialize in impeccable results. Speed – Our ample inventories and fast same-day printing capabilities make us the perfect rush-job partner. Quality – With flawless design, top-of-the-line materials, and best in class printing equipment we make the best tension fabric exhibits. 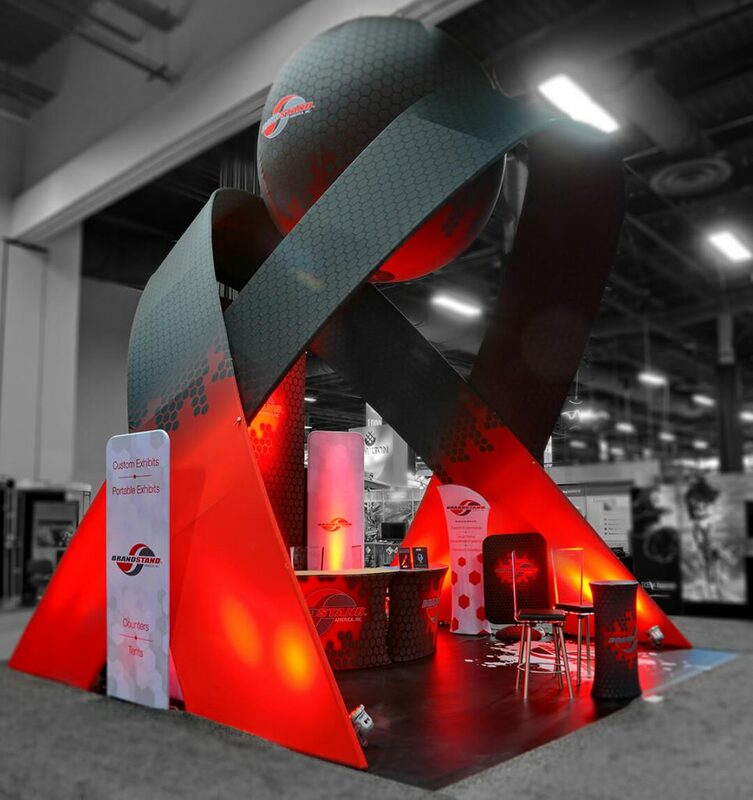 Variety – We are the pioneers of tension fabric displays, with hundreds of stock and custom options to choose from. Innovation – Our designers are constantly developing new products to service changing exhibition trends. Reliability – We respect your critical deadlines with exceptional attention to detail. Custom Design – Our engineers know all the options, so you don’t have to. Just call us with your napkin drawing to get started. Friendly Service – Our team is your most valuable asset, with years of experience to guide you to the perfect solution for your client. Exceptional Value – Our focus on innovation and efficieny allows us to offer top quality at amazing prices, including a price matching guarantee. Brandstand introduced WaveLine® and OneFabric®, pioneers in soft signage. Brandstand created the Waveline Media product line. Brandstand won the Product Design Award . Brandstand opened larger facility in Venice, Florida. Brandstand won the Exhibiter Buyer’s Choice Award . Brandstand introduced 5 new product lines. Brandstand announces merger with Globotech USA Corporation. Brandstand introduces Same Day Production. Brandstand releases new lower pricing structure to align with technology and production efficiencies. BrandStand America is a proud member of the Specialty Graphic Imaging Association (SGIA), Advertising Specialty Institute (ASI), SAGE, and Exhibit Designers & Producers Association (EDPA).